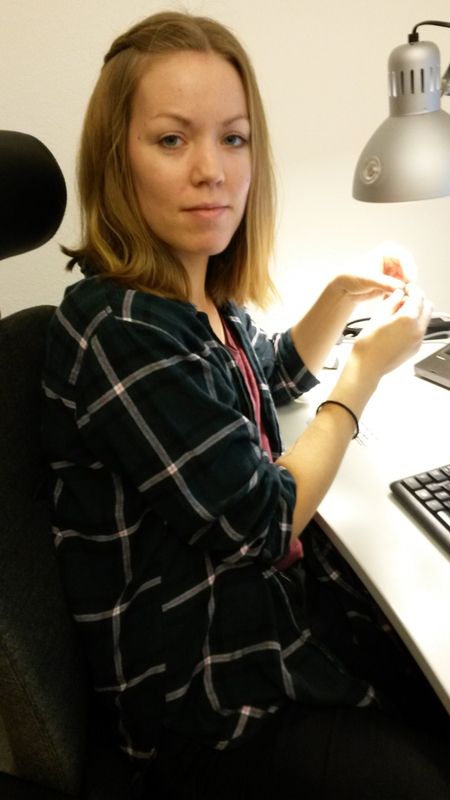 Allow me to introduce a new member of the project group – Sandra Söderlind. Sandra will be working with us for the first six months of 2017, possibly for a longer period of time. I will let Sandra describe her interests and background herself. Hello everyone! My name is Sandra and I have recently joined the Alvastra pile dwelling project. I will be spending my time here with registration of finds, and will focus on the lithic material and organic remains. In May this year I finished my MA at Uppsala University with a thesis relating to the pioneer settlement of Fennoscandia after the last Ice Age. In this thesis I worked a lot with lithic technology and raw material studies relating to the Mesolithic people in Dalarna, central Sweden. After my studies I worked in contract archaeology at SAU (Societas Archaeologica Upsaliensis) in Uppsala. Now I am very excited to explore the lithic material of Alvastra, such an interesting and special site. Alvastra, thanks for having me! We are very pleased to have you. Now the the Alvastra pile dwelling blog is taking a Christmas break. We wish all our readers a Happy Christmas and all the best for the New Year.